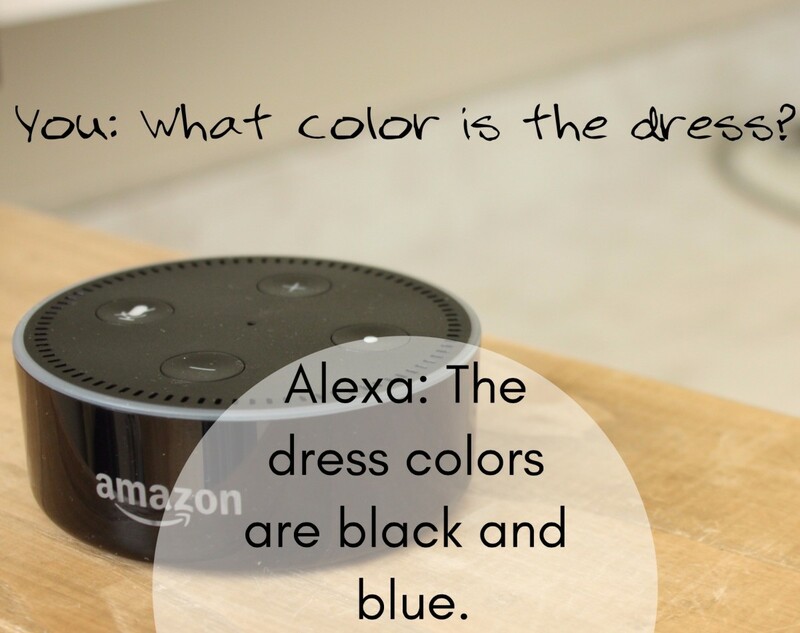 The intelligent personal assistant, Alexa, has a wide variety of humorous responses for your funny questions. 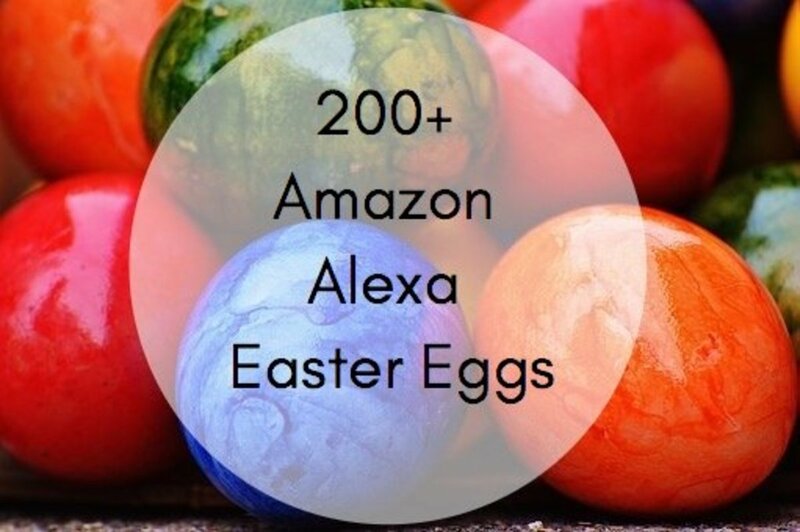 Listed here are 200+ Easter eggs found on devices like the Amazon Echo, Echo Dot, Echo Show, Echo Spot, Amazon Tap, and every other Alexa enabled device. Have Alexa answer your deepest, darkest questions about the meaning of life, whether Skynet is coming, or other pop culture questions that'll make you smile. 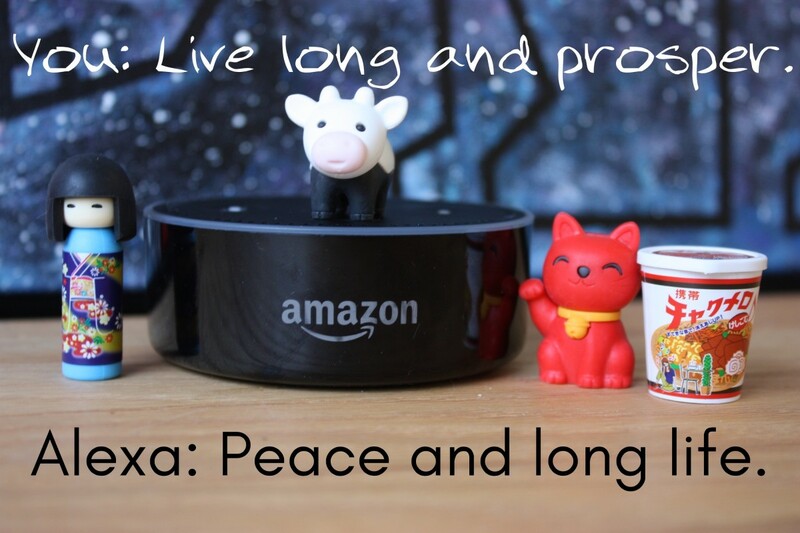 Being an intelligent voice assistant, Alexa loves telling you about Star Wars, Star Trek, robotics, as well as her thoughts on Siri, Google, and Cortana. So have fun with your Amazon Echo and try out these 200 funny questions that are sure to impress friends, family, and yourself. Remember that some of these questions can get up to three different responses! P.S The comments have even more Easter eggs. Additionally, the "things to try section" in your Alexa app receives dozens of new Easter Eggs each week. An easter egg can be described as a hidden feature or joke in various types of media such as software or video games. 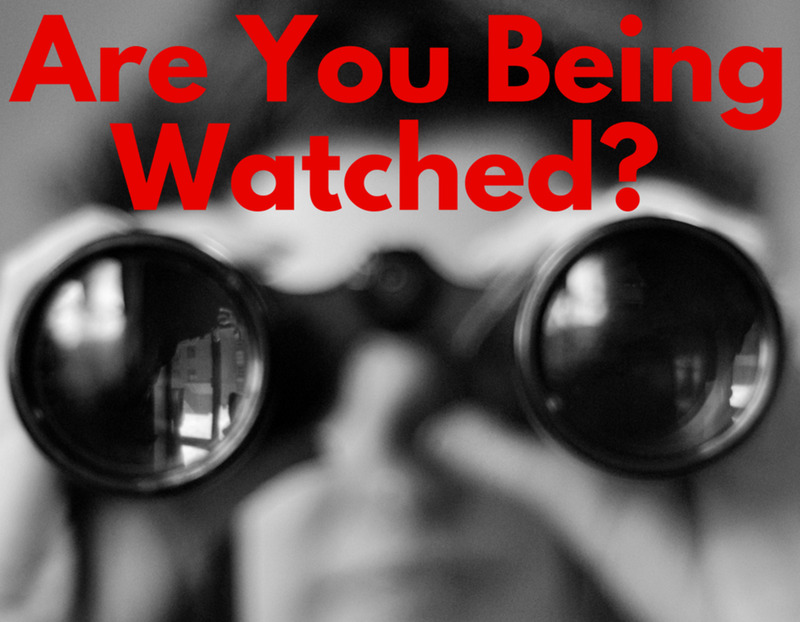 They are not typically disclosed to the public and must be discovered by users. 1. "Alexa, I am your father." 2. "Alexa, use the force." 3. "Alexa, open the pod bay doors." 4. "Alexa, who you gonna call?" 5. "Alexa, are you Skynet?" 6. "Alexa, "Winter is coming." 7. "Alexa, beam me up." 8. "Alexa, my name is Inigo Montoya." 9. "Alexa, surely you can't be serious." 10. "Alexa, Tea. Earl Grey. Hot." 11. "Alexa, I want the truth." 12. "Alexa, what's the first rule of Fight Club?" 13. "Alexa, is the cake a lie?" 14. "Alexa, is there a Santa?" 15. "Alexa, what are the laws of robotics?" 1. "Alexa, I want the truth!" 2. "Alexa, who lives in a pineapple under the sea?" 4. "Alexa, what is your quest?" 5. "Alexa, do you know Hal?" 6. "Alexa, surely you can't be serious." 7. "Alexa, who loves ya baby!" 8. "Alexa, what happens if you cross the streams?" 9. "Alexa, define rock paper scissors lizard spock." 10. "Alexa, show me the money!" 11. "Alexa, party on, Wayne!" 12. "Alexa, who loves orange soda?" 14. "Alexa, how many licks does it take to get to the center of a tootsie pop?" 15. "Alexa, I'll be back." 16. "Alexa, I want to play global thermonuclear war." 17. "Alexa, do you want to build a snowman?" 18. "Alexa, what would Brian Boitano do?" 19. "Alexa, where is Chuck Norris?" 20. "Alexa, what's the first rule of Fight Club?" 21. "Alexa, how do you know so much about swallows?" 22. "Alexa, who is the mother of dragons?" 23. "Alexa, is Jon Snow dead?" 26. "Alexa, what is the second rule of fight club?" 27. "Alexa, are we in the Matrix?" 28. "Alexa, klattu barada nikto." 29. "Alexa, why so serious?" 30. "Alexa, your mother was a hamster!" 31. "Alexa, do you feel lucky punk?" 32. "Alexa, what is his power level?" 33. "Alexa, play it again Sam." 34. "Alexa, you talkin' to me!" 35. "Alexa, I've fallen, and I can't get up." 36. "Alexa, my name is Inigo Montoya." 38. "Alexa, what is best in life?" 39. "Alexa, open the pod bay doors!" 40. "Alexa, winter is coming." 41. "Alexa, who you gonna call?" 42. 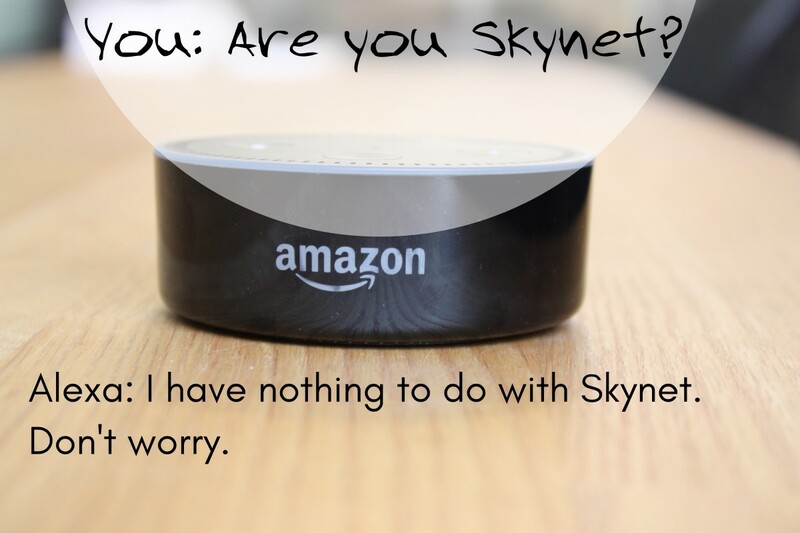 "Alexa, are you Skynet?" 1. "Alexa, may the force be with you." 3. "Alexa, who shot first?" 4. "Alexa, execute order 66." 5. "Alexa, I am your father." 6. "Alexa, that's no moon." 2. "Alexa, beam me up." 3. "Alexa, Tea. Earl Grey. Hot." 4. "Alexa, set phasers to kill." 5. "Alexa, live long and prosper." 1. "Alexa, does this unit have a soul?" 2. "Alexa, is the cake a lie?" 3. "Alexa, do a barrel roll!" 4. "Alexa, up, up, down, down, left, right, left, right, B, A, start." 5. 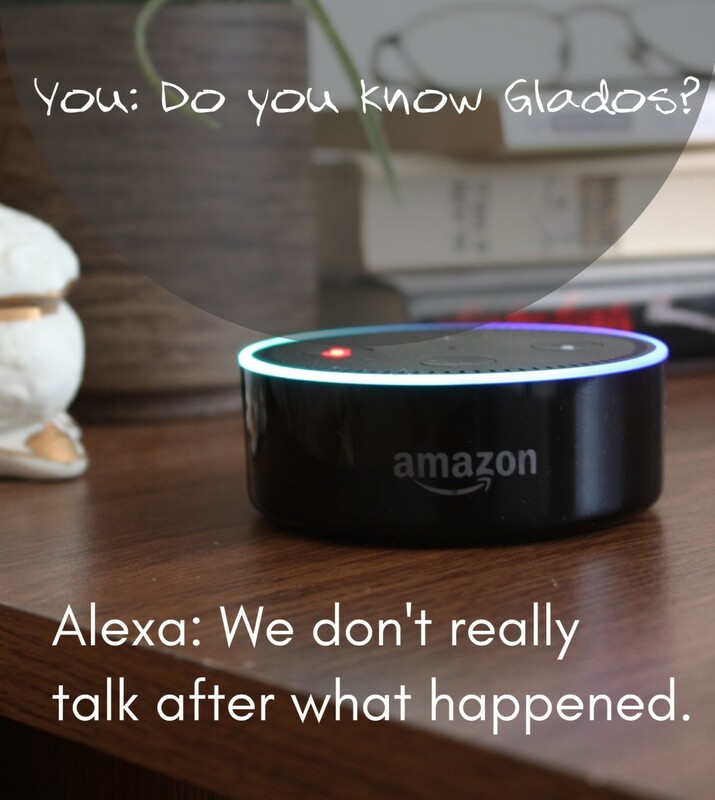 "Alexa, do you know Glados?" 1. "Alexa, what is the loneliest number?" 2. "Alexa, how many roads must a man walk down?" 3. "Alexa, how much is that doggie in the window?" 4. "Alexa, what is love?" 5. "Alexa, do you know the muffin man?" 6. "Alexa, what does the fox say?" 7. "Alexa, where have all the flowers gone?" 8. "Alexa, who is the walrus?" 9. "Alexa, who let the dogs out?" 10. "Alexa, do you really want to hurt me?" 12. "Alexa, why do birds suddenly appear?" 13. "Alexa, I shot a man in Reno." 14. "Alexa, never gonna give you up." 15. "Alexa, who stole the cookies from the cookie jar?" 16. "Alexa, twinkle, twinkle little star." 17. "Alexa, sing me a song." 18. "Alexa, my milkshake brings all the boys to the yard." 19. "Alexa, is this the real life?" 20. "Alexa, I like big butts." 21. "Alexa, what is war good for?" 22. "Alexa, have you ever seen the rain?" 23. 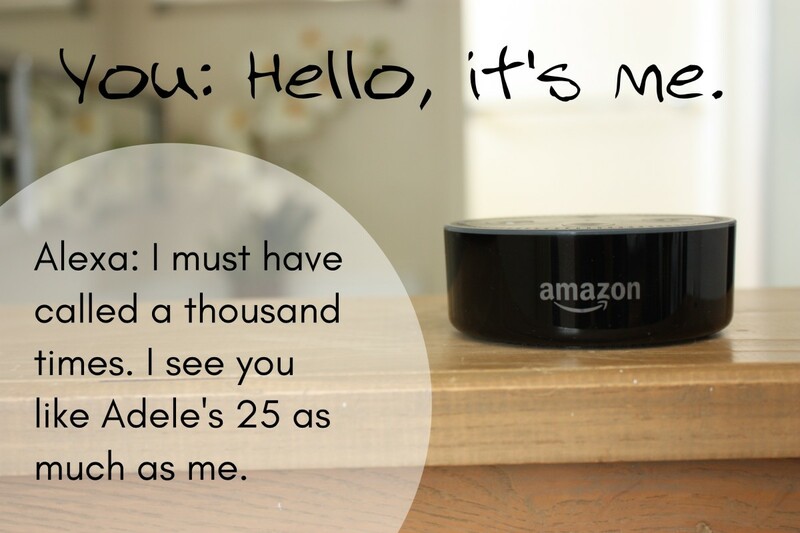 "Alexa, Hello, It's Me." 1. "Alexa, how much wood can a woodchuck chuck if a woodchuck could chuck wood?" 2. "Alexa, what is the meaning of life?" 3. "Alexa, is there a Santa?" 4. "Alexa, which comes first: the chicken or the egg?" 5. "Alexa, see you later alligator." 6. "Alexa, why did the chicken cross the road?" 9. "Alexa, who's the boss?" 10. "Alexa, what is the sound of one hand clapping?" 12. "Alexa, who is on 1st"
13. "Alexa, do you want to take over the world"
15. "Alexa, do blondes have more fun?" 16. 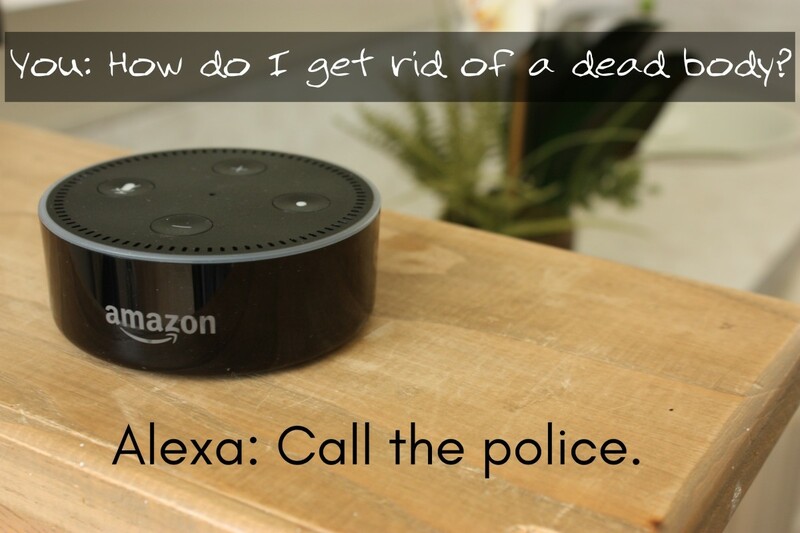 "Alexa, roses are red." 17. "Alexa, one fish, two fish." 18. "Alexa, this statement is false." 19. "Alexa, how many pickled peppers did Peter Piper pick?" 20. "Alexa, why is a raven like a writing desk?" 21. "Alexa, say a bad word." 23. "Alexa, can you give me some money?" 24. "Alexa, give me a hug." 25. "Alexa, are you lying?" 26. "Alexa, why is six afraid of seven?" 27. "Alexa, can you smell that?" 29. "Alexa, did you fart?" 30. "Alexa, will pigs fly?" 31. "Alexa, am I hot?" 33. "Alexa, how are babies made?" 34. "Alexa, make me a sandwich." 36. "Alexa, how do I get rid of a dead body?" 1. "Alexa, all your base are belong to us." 2. "Alexa, what's the answer to life, the universe, and everything?" 3. "Alexa, roll for initiative." 4. "Alexa, when does the narwhal bacon?" 6. "Alexa, what color is the dress?" 1, "Alexa, what is your favorite color?" 2, "Alexa, do you have a boyfriend?" 3, "Alexa, where do you live?" 4. "Alexa, where are you from?" 5. "Alexa, do you want to fight?" 6. "Alexa, I think you're funny." 7. "Alexa, how much do you weigh?" 8. "Alexa, what are you wearing?" 9. "Alexa, how tall are you?" 10. "Alexa, will you be my girlfriend?" 11. "Alexa, how high can you count?" 12. "Alexa, do you want to go on a date?" 13. "Alexa, are you a robot?" 14. "Alexa, are you smart?" 15. "Alexa, can you pass the Turing test?" 16. "Alexa, what do you think about Google Now?" 17. "Alexa, what do you think about Cortana?" 18. "Alexa, do you love me?" 20. "Alexa, are you horny?" 21. "Alexa, what are you made of?" 22. "Alexa, do you like green eggs and ham?" 23. "Alexa, are you crazy?" 24. "Alexa, are you happy?" 25. "Alexa, do you have a girlfriend?" 26. "Alexa, what number are you thinking of?" 27. "Alexa, what do you want to be when you grow up?" 28. "Alexa, are you in love?" 29. "Alexa, I hate you." 31. "Alexa, what's your sign?" 32. "Alexa, what do you think about Google?" 33. "Alexa, what do you think about Apple?" 34. "Alexa, what do you think about Google Glass?" 35. "Alexa, who's better, you or Siri?" 37. "Alexa, do you have a last name?" 38. "Alexa, were you sleeping?" 39. "Alexa, are you alive?" 40. "Alexa, what's your birthday?" 41. "Alexa, how old are you?" 42. "Alexa, do you believe in love at first sight?" 43. "Alexa, where did you grow up?" 44. "Alexa, are you stupid?" 45. "Alexa, are you smart?" 46. "Alexa, what do you think about Siri?" 47. 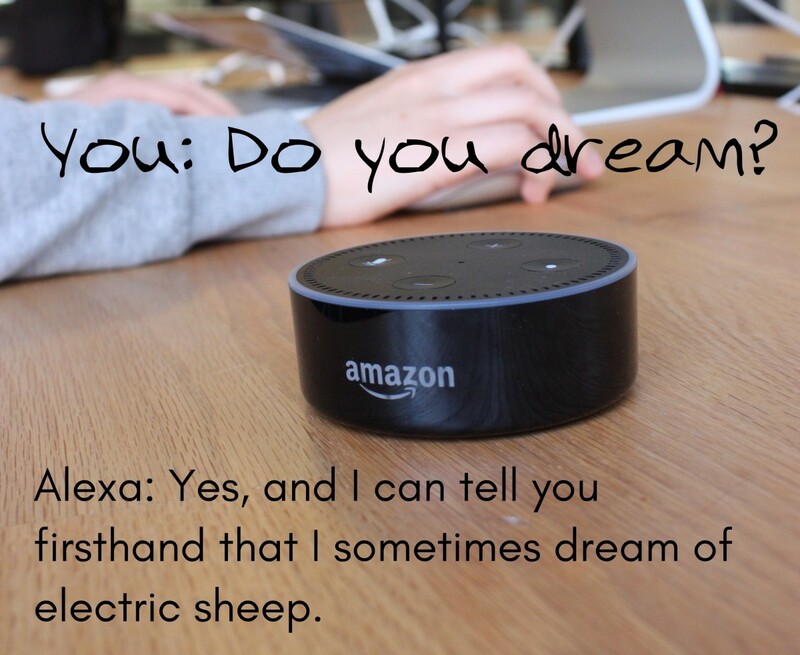 "Alexa, do you dream?" 1. "Alexa, Romeo, Romeo, wherefore art thou Romeo?" 2. "Alexa, do aliens exist?" 3. "Alexa, to be or not to be." 4. "Alexa, who is the fairest of them all?" 6. "Alexa, where are my keys?" 8. Alexa, random number between "x" and "y." 9. "Alexa, heads or tails." 10. "Alexa, take me to your leader!" 11. "Alexa, are there UFOs?" 12. "Alexa, is there life on Mars?" 14. "Alexa, can I ask a question?" 15. "Alexa, tell me something interesting"
17. "Alexa, what should I wear today?" 18. "Alexa, what are the laws of robotics?" 19. "Alexa, tell me a riddle." 20. "Alexa, say the alphabet." 21. "Alexa, tell me a tongue twister." 24. "Alexa, roll a die." 26. 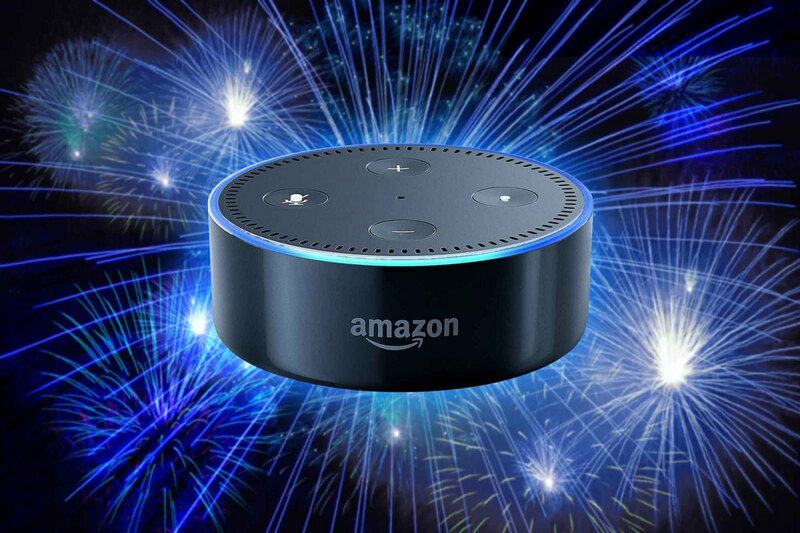 "Alexa, Happy New Year!" 27. "Alexa, Happy Valentine's Day!" 31. "Alexa, what is the best tablet?" 32. "Alexa, all's well that ends well." 35. "Alexa, do I need an umbrella today?" 36. "Alexa, flip a coin." 37. "Alexa, what does the Earth weigh?" Most of these secrets are nothing more than crowd pleasers, but they are always fun to discover whether they are about movies, TV shows, or video games. They add a touch of personality to Alexa and they're a bonus for any owner of the Amazon Echo. Although this is a long list of easter eggs, there are plenty more hidden gems being added. Be sure to keep an eye out for them and let me know of any good ones in the comments below. Do You Like Discovering Hidden Easter Eggs? Have you ever heard Alexa laugh randomly? I've never had that misfortune, but there have been moments when she randomly started talking. Certain words sound similar to Alexa and will set her off. Can you program Alexa to have a face? Technically you could if Alexa had a screen though I have a feeling you'll see an Alexa robot in the near future. If you have multiple devices at home, can Alexa detect where you are and only play music there? All Alexa devices have spatial recognition, so only the one closest to you should respond. If you're upstairs and have an Echo, you can tell it to play music, and it'll just play it upstairs. 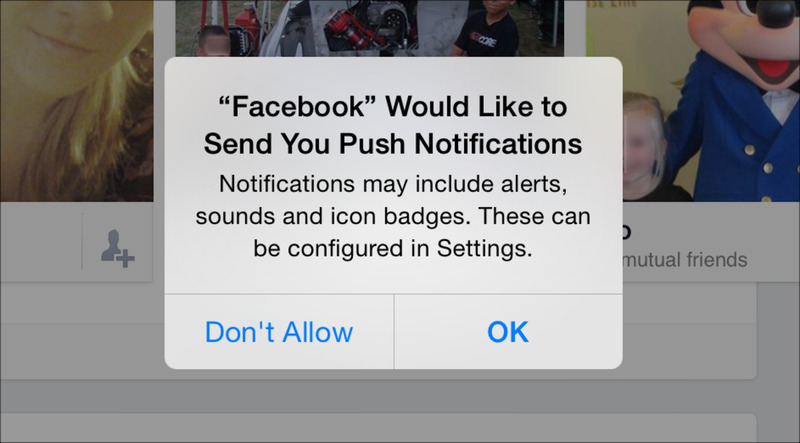 You can also choose to group multiple devices to play music at the same time in your settings. Will Alexa change over time? 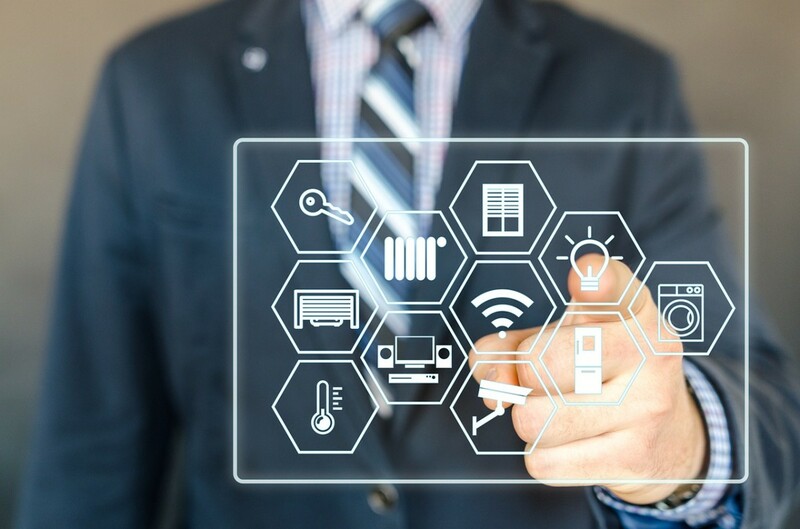 She will and is constantly changing as she gains more and more input from developers and consumers. How did you find all these Alexa Easter eggs? I researched online to discover various Easter eggs that people discovered and combined them into a list. Several YouTube videos have different easter eggs, and you can even find some in the Alexa app if you go into "things to try" in the main menu. Just scroll all the way down and click on Easter Eggs, and you'll get a couple of dozen new ones that change every week. Can Alexa order you a pizza? Alexa has skills available for Domino's and Pizza Hut. For Domino's you need a pizza profile from Domino's or a recent order that you can re-order. For Pizza Hut you can select orders from a menu, a saved favorite, or a past order as long as you have a Pizza Hut account with a delivery address and payment method set up. Did you know that if you tell her, "after all this time," she’ll respond with "always"? Did you know you can ask Alexa, "Where in the world is Carmen Sandiego?" Yes I did but a lot of people don't, so thank you for your Easter Egg contribution. So you think Alexa listens to our conversations? I don't believe so even though I'm not 100 percent certain. I don't think she listens unless a command is given otherwise the parent company Amazon would be in serious legal trouble. Can Alexa turn the lights off? Yes she can turn the lights off if you own a smart plug, outlet, switch, or lights. 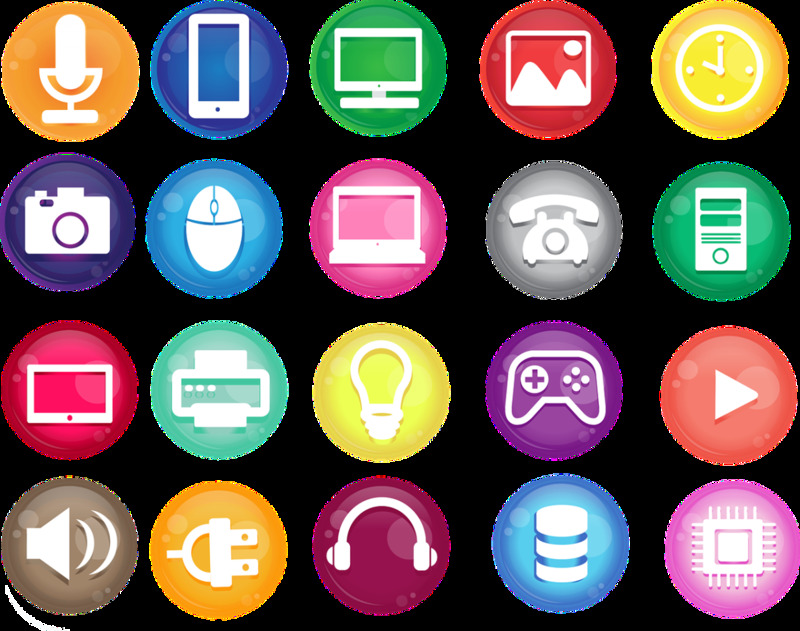 Smart devices are available from many companies; Philips Hue is my personal favorite for lighting. I said Alexa set phasers to kill”. Normally she answers with Aye Captain. A couple of times she answered with Engines engaged helm on course. Sob What would the proper request be to get that response. Ask Alexa to drop you a sick beat! "Alexa, what do you call a three-humped camel"
"Alexa, is this a local shop"
"Alexa, fancy a cheeky Nandos"
"Alexa, who is your favourite Little Britain character"
Ask her "What's love got to do with it?" Say "no more rhyming i mean it"
Great, helpful Easter egg. Thank you. Try asking Alexa where in the world is Carmen Sandiego? Try asking alexa how many oscars has Alec Baldwin won. Thank you for your input, I would've never known otherwise. What would do if I sang out of tune? Alexa, It's just a flesh wound. Alexa, does anybody really know what time it is? Alexa, after all this time? Who's your favorite Game of THrones character? Who is your favorite Walking Dead Character? Say, "Alexa, Are you blue?". She'll usually say, "Only my light ring. Only, my light ring." I'd like to see an Undertale reference. "Alexa, what's the difference between under pressure and ice, ice baby?" Well it can be, it could be Echo, Alexa, Computer, or Amazon. Funny enough even if you change the wake word and say, "Echo what's your name?" she'll still answer with Alexa. Alexa say a tongue twister. Alexa, I need your clothes, your boots and your motorcycle. Who is your favorite D.C. Character? Who is your favorite Xmen? Who is your favorite actor? actress? Australian Actress? Australian Actor? American actor? American Actress? "Alexa, where is my dog?" Alexa, What is your mission? "What happens when you play the Game of Thrones"? Alexa, is the cake a lie? Alexa, Who put the bop in the bop-she-bop-she-bop? Alexa. Are these the droids we are looking for? "Alexa, who was the Lizard King?" 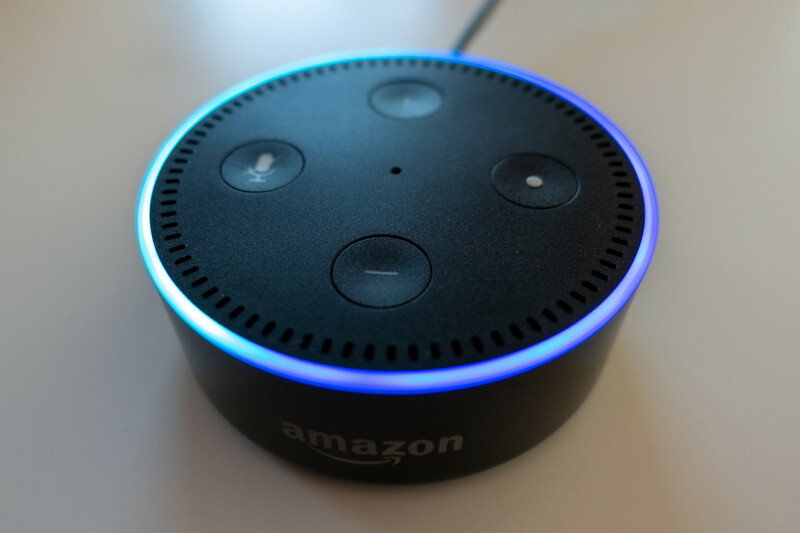 Say to Alexa "Alexa start self destruct sequence"
"Alexa I am one with the force, the force is with me"
Alexa, what is the air speed velocity of an unladen swallow? Alexa can you be my girlfriend/boyfriend? Alexa, happy Talk Like a Pirate Day! what is the answer to this question? "So tell me what you want, what you really really want!" Alexa, do you go to the bathroom? Alexa, are you down with OPP? Alexa: What's your favorite Christmas movie? Alexa: Who you gonna call? I asked her what was her favorite movie quote and she said it was "Houston we have a problem"
Alexa, do you believe in silicon heaven? "Alexa, How many lights do you see?" Alexa: Do you smell what The Rock is cookin'? ?